This post covers the improvements and additions to the Configuration Manager Console that were added to SCCM 1902. We know SCCM 1902 is released and there are loads of new features baked in the version 1902. Most of the time we look for only major features and tend to ignore those small features or sometimes they go unnoticed. If you have noticed there are lot of console improvements in SCCM 1902. Most of the ideas implemented were requested by users. This also shows that Microsoft is constantly listening to it’s customers. I can tell this based on the UV items that are implemented in current branch versions so far. 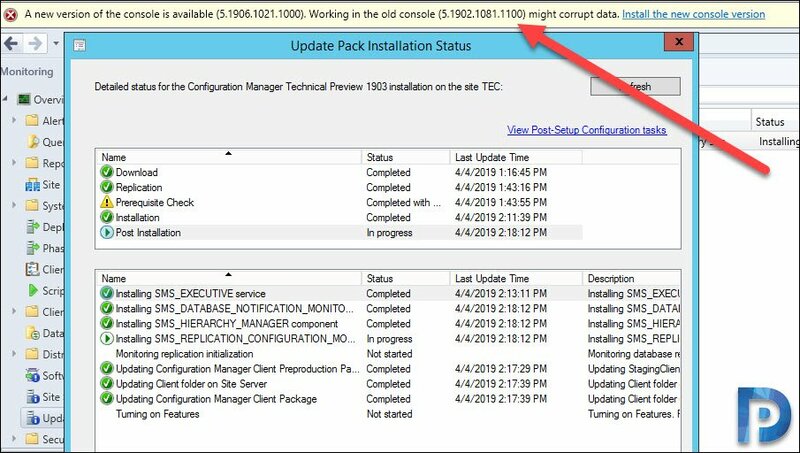 Before you read further, you must first upgrade your Configuration Manager to version 1902. Here is a upgrade guide for SCCM 1902. In addition to that, check out the SCCM 1902 new features here. Let’s look at some of cool console improvements and additions in SCCM 1902. When there is a Configuration Manager update available. This notification bar appears on top of the console window just below the ribbon. The information that you see are in-console notifications. They usually display critical information, but they don’t interfere while you work. Note that you can’t dismiss critical notifications. If i am correct, the below screenshot is an example of SCCM console notification (got this when i was installing technical preview 1903). 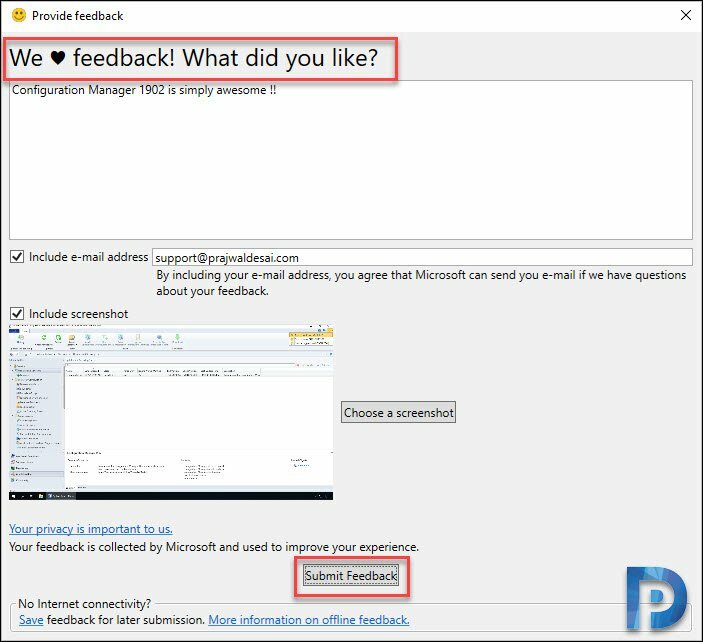 In SCCM 1902 console, when you send feedback, it now shows a confirmation message. To send the feedback, look for the smiley icons in top right corner of Configuration Manager console. You can either send a smile or a frown and append your feedback. Clicking Send a suggestion will redirect you to this link. That’s the confirmation message which says Feedback sent – Your feedback has been submitted. This message includes a Feedback ID, which you can give to Microsoft as a tracking identifier. With SCCM console connections, you can now view the most recent connections for the Configuration Manager console. Probably the best feature that you can try right after installing SCCM 1902. The view includes active connections and those that recently connected. Navigate to Administration > Overview > Security. 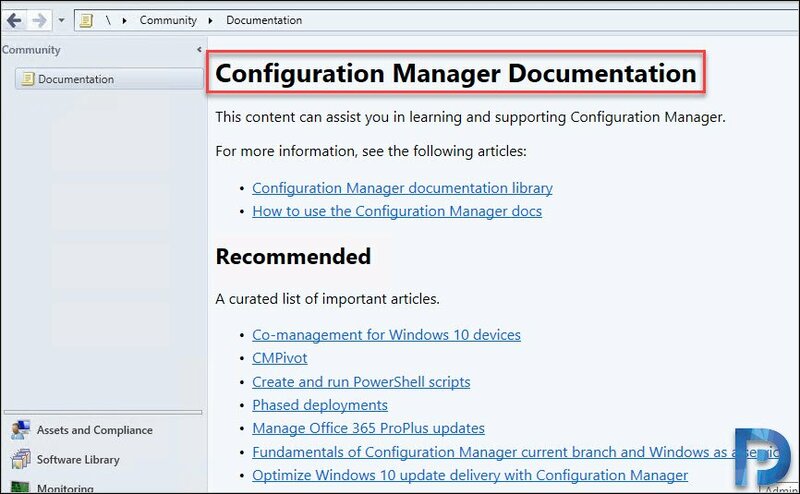 In SCCM 1902, the console includes Configuration Manager documentation. Just go to Community workspace within the Configuration Manager console and click Documentation. In addition to that you get links to the following. The SCCM admins can now search for a MAC address in a device view of the Configuration Manager console. Very helpful feature for OS deployment administrators while troubleshooting PXE-based deployments. From list of devices, add the MAC Address column to the view. Use the search field to add the MAC Address search criteria. To improve the accessibility features of the Configuration Manager console, update .NET to version 4.7 or later on the computer running the console. If you have installed the console on Windows Server 2019, the .NET framework 4.7.2 comes installed by default. Recently i have upgraded my SCCM console to 1902 from 1810 , but unfortunately SMS Agent Host unable to start , its getting failed with Error 1053 . Tried many solutions but nothing works , can you suggest me if you faced any issues related to this. I never observed the SCCM documentation in the console. Thanks Prajwal for the post. 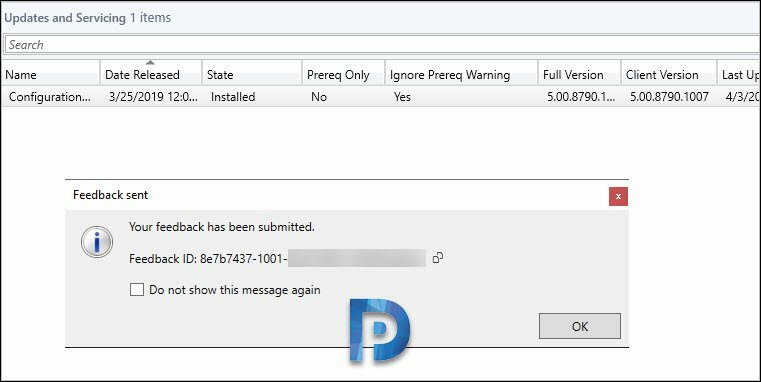 Can SCCM 1902 installed on Windows Server 2019 ??. Please confirm. Yes it can, we recently upgraded our environment to Server 2019, SQL 2017 onbox and SCCM 1902. So far it’s working without issues. Excellent post Prajwal. You are an asset to SCCM community. Keep adding such excellent posts.